Want to retarget your Outbrain audience with Facebook Ads? Of course you do! Using the guide below, we’ve made it easy to integrate your Outbrain campaigns to accomplish this. Please note that these instructions are for importing Outbrain audiences into your Facebook Ads account. 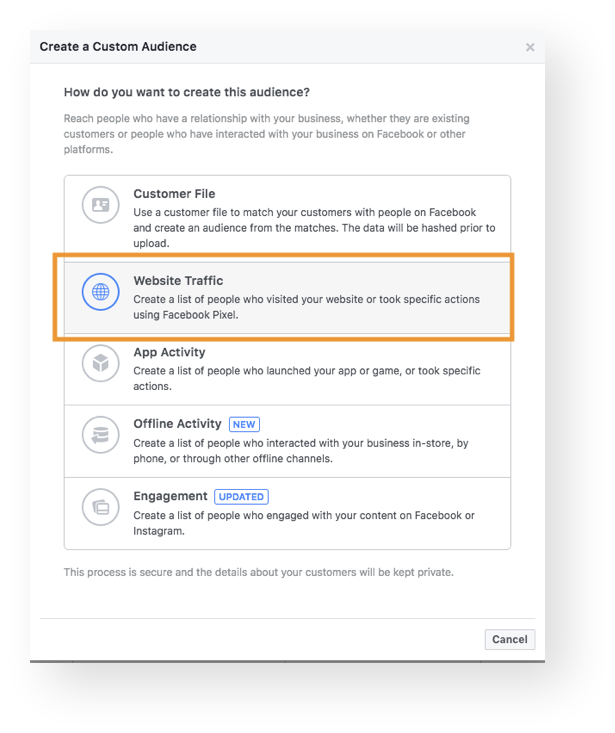 If you’d like to import your existing Facebook audiences into Outbrain, you’ll need to do so through our DMP partners. 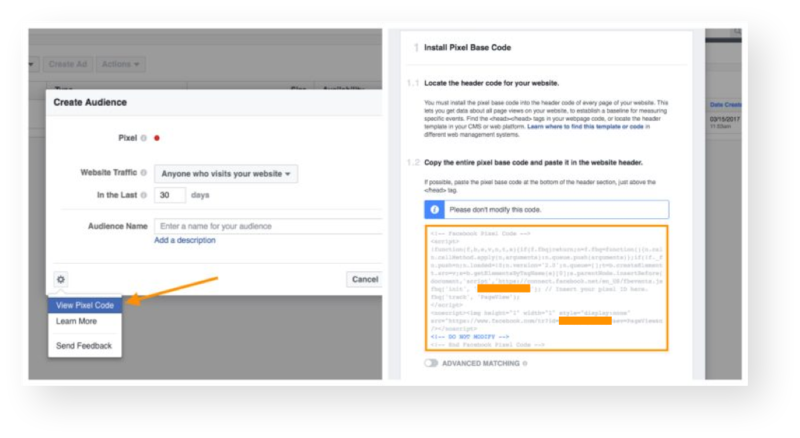 Log into your Facebook Ads Manager account and click “Create Audience.” Click the Settings wheel to view the pixel. Next, copy the pixel code. Paste the pixel code into your website header. Note: you will later need your unique account ID string, blocked out in orange above, to implement the pixel in your Outbrain campaign. Before linking the pixel to your Outbrain campaign, you will want to alter the name of the event so that Facebook can find it later. Make sure not to make this change in the pixel code on your site’s header, but only when implementing the event in your Outbrain campaign. The pixel on your site should remain as it was provided by Facebook. 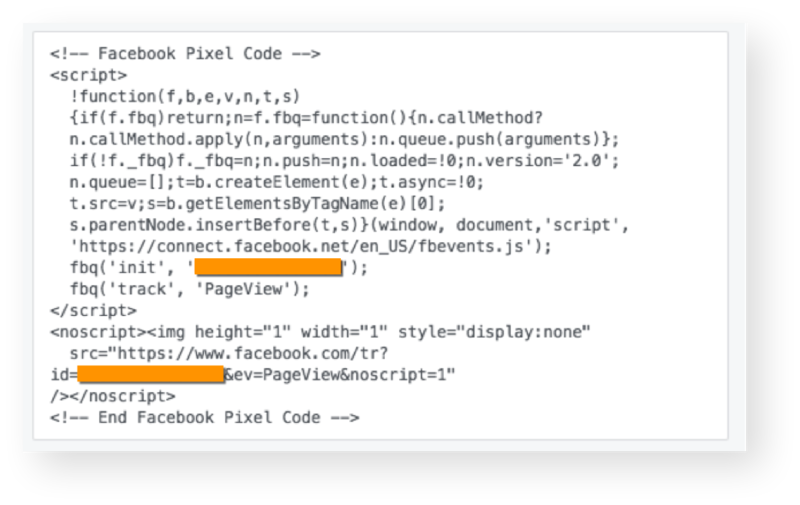 The event is currently defined as “ev=PageView&noscript=1” in your Facebook pixel. Make sure to also replace the “1234567890” portion with your unique ID, as identified in the “src” string. Next, head to your Outbrain dashboard, open up your campaign’s settings, and scroll down to the “3rd Party Pixels” box. Enter the modified pixel URL. 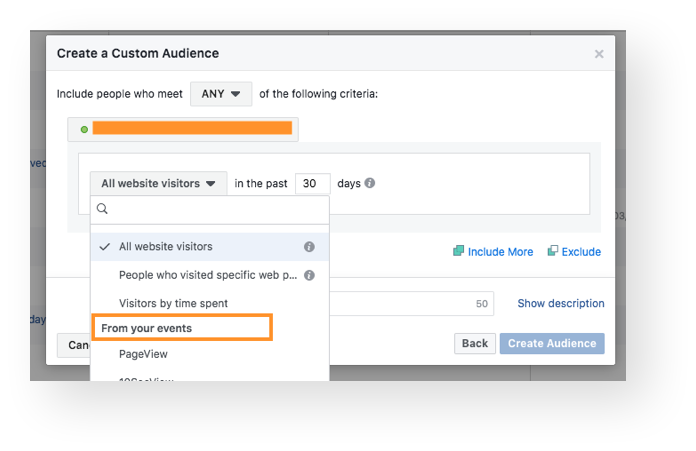 After the campaign has been active for a few days, create an audience in your Facebook dashboard by targeting the specific event. 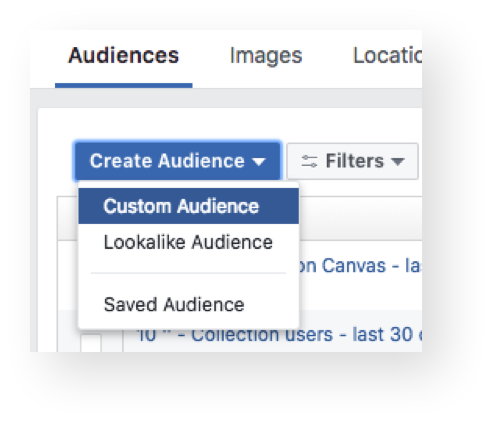 Head to your “Audiences” tab, then select “Custom Audience” from the “Create Audience” drop-down. Next, select “Website Traffic” from the “How do you want to create this audience?” menu. Finally, click the “All website visitors” option to find your list of events. Scroll down until you see the specific event that you created, and select it. Click “Create Audience” to save your selection. We recommend using 3rd Party Pixels on “Desktop Only” campaigns to ensure that the pixel fires properly on the reader’s browser. Avoid capital letters or spaces when naming the event. Make sure the campaign is live and receiving traffic, since the event must be fired in order for Facebook to identify it. If you have any questions or concerns about this, feel free to reach out to our friendly Support team; we’re always happy to help!